Product prices and availability are accurate as of 2019-04-04 14:18:20 EDT and are subject to change. Any price and availability information displayed on http://www.amazon.com/ at the time of purchase will apply to the purchase of this product. 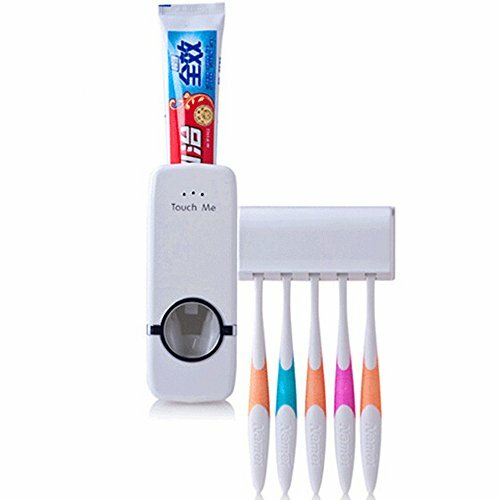 Convenient-hands free, one-touch toothpaste dispenser. 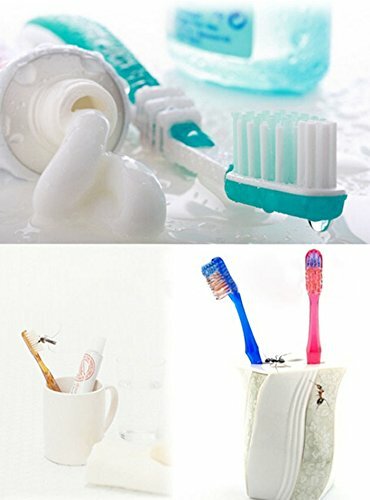 Organizer-3-5 brush holder, keep your tooth brush in order. Eco-Friendly---NO battery required. Easy to mount on the wall: notice: mounted it in the clean smooth wall.First, tear the Double-sided adhesive, press it 3 times and put the sealant around it. Hygienic---Keep your toothpaste and brush dry and clean.